Reference number for this case: 3-Oct-54-Auxi-le-Château. Thank you for including this reference number in any correspondence with me regarding this case. In "Special notes" of their catalogue, the GNEOVNI group indicates that there exists in several books, such as Aimé Michel's "M.O.C. 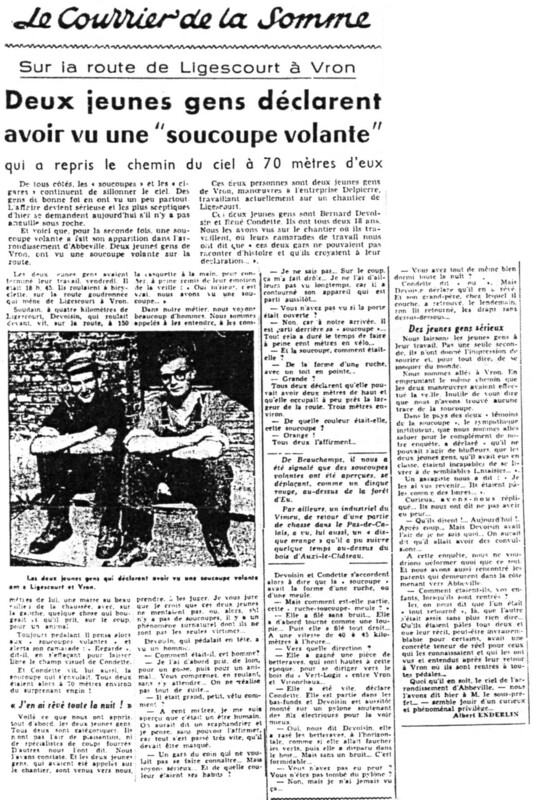 ", Planète publishers in 1966, in which there is a number of observation cases in the Nord and Pas-de-Calais which are not included in their catalogue because there "remains much doubts as to their credibility." One of them is noted "3-10-54 Auxi le château pdc". 1.0 Patrick Gross July 11, 2010 First published, [gn1]. 1.1 Patrick Gross October 23, 2014 Addition [cp1].